Investing today is more complicated and unpredictable than ever before. The strategy of buy-and-hold has been replaced by buy-and-hope. Trying to grow your assets means worrying about how the next geopolitical crisis or government announcement will affect your portfolio. In an age of stunted economics and uncertain interest rates, attempting to guess market direction can seem futile. The good news is, you don't have to anymore. There is a better way to invest. It's time to borrow a page from the pros and radically change your entire philosophy to building a solid, high-yielding portfolio. You don't need a fancy Greek calculator to succeed in writing options. 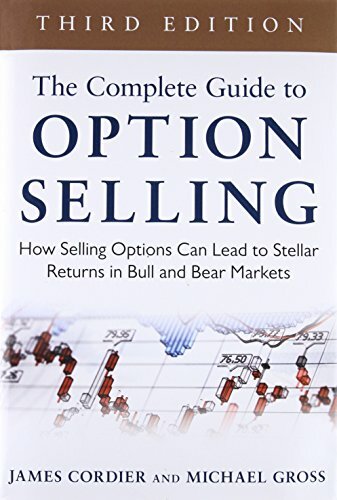 All you need is a little knowledge, a lot of common sense, and The Complete Guide to Option Selling.